Being a wine grower is all about loving nature and being patient. We have to care about the vines all along the year to harvest beautiful grapes. Starting with a decisive pruning, the year continues with tieing up the vines, desuckering and trellising. All this work aims to get the best sunny exposition and growth conditions for the grapes. 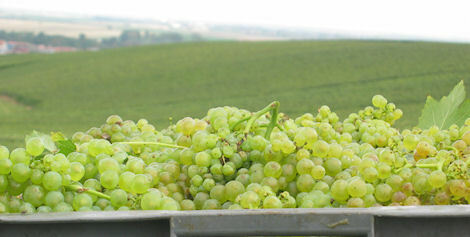 At the end of the harvest the grape juice has gone through the first alcoholic fermentation to become a wine. After a malolactic fermentation and clarification, the next few month are spent tasting each tun to decide the final blend. This is a time for discussion ( sometimes arguments ?) between Yveline and Alain to decide the profile of the future Champagnes. 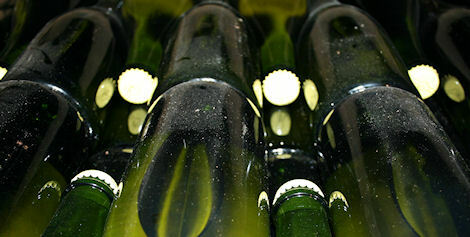 The Champagnes are then bottled and will go through the second alcoholic fermentation transforming into Champagne. We will store the bottles at least 2 years for our brut and rosé and 5 years for the Champagne Nostalgie. Along that time the wine will slowly develop different aromas and we will sample a bottle from time to time. When we finally think the Champagne are ready, the bottles go through riddling and disgorgement to put their final cork on. With their label on they are now ready for you to enjoy!